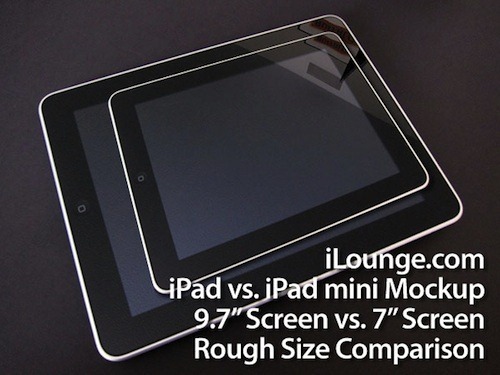 The lovely guys over at iLounge are citing a source in the know and sharing some interesting iPad 2 tidbits this evening, ranging from a new iPad construction to a 7" device being on the horizon. First up we have the possible development of new (and I dare say exciting) accessories that feature the much anticipated NFC and RFID technologies. The addition of such an accessory could enable iOS devices to be used as payment methods or similar applications where a process could be triggered by the device being in close proximity to a receiver. Secondly, the source thinks that the next generation iPad could ditch its current aluminum shell in favor of a carbon fiber-like material. iLounge points reports that prototypes using a similar body have already been spotted, but it’s worth remembering that prototypes don’t always equal production units. Finally, and least likely if you ask me (and you did) is the claim that Apple is still working on a 7" version of its popular tablet device. Reports over the last 12 months have claimed the Cupertino outfit did toy with the idea of a smaller form factor for the iPad with CEO Steve Jobs apparently preferring the near-10 inch device we all know and love today. Jobs has also made it clear in conference calls since then that the company feels 7 inches just isn’t large enough for a tablet and I see little reason for them to have changed their mind at this point.